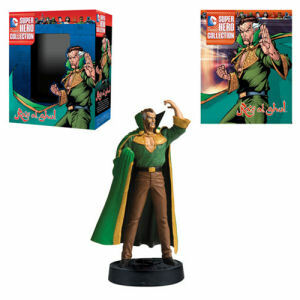 We have Just Sold out of DC Superhero Ras Al Ghul Best Of Figure with Collector Magazine #11. This Item is unavailable at present. From the Batman collection by Eaglemoss Publications. DC Superhero Ras Al Ghul Best Of Figure with Collector Magazine #11. Figure stands 3.5 inches tall and comes with a 16 page magazine that details Ras Al Ghul history.